Seattle has been touted as the country’s most promising real estate market for 2018, causing many Washington State real estate agents to take notice. Within the last year, Seattle has experienced a 20 percent increase in median home sales. Additionally, the average price of square footage increased significantly. There is no doubt that Seattle is emerging as a real estate hot spot. The economic outlook for Seattle is looking good with a high demand for investment in the real estate market. In fact, the median price of a Seattle home right now is $725,000. What is it about Seattle’s real estate market that causes it to top the charts? More importantly, what can you do about it as a real estate agent? Seattle is considered to have high productivity with highly expected income growth in the coming years. Additionally, about 12 percent of employees work in STEM-related fields. A relatively high percentage of residents work in computer programming. Seattle’s ability to offer tech-driven careers and its emphasis on STEM programs attract new buyers looking to make waves with the rest of the city. Finding ways to appeal to these buyers might involve taking courses in green housing and housing technology. Seattle’s population includes 17 percent of citizens with graduate or professional degrees and 37 percent of citizens with either associate’s or bachelor’s degrees. As one of the country’s most educated cities, Seattle tends to offer more jobs geared toward those with bachelor’s degrees. Those in search of tech-related employment may embrace Seattle with open arms. In the next five years, Seattle is expected to gain nearly 30,000 new residents. It seems that many outsiders look to live in the city, whereas Seattle residents may be looking more toward the outskirts of the hustle and bustle. The demand for homes in the city also grows while the supply has decreased, leading to increased prices. Additionally, rent is rising quickly, which leads to a desire to buy a home. While home prices are also increasing, those looking to invest in a home for the family will be attracted to buying rather than renting. The vast majority of Seattle residents have easy access to city parks, meaning that they can walk to one. Buyers want to live near parks, so this gives moving to Seattle a significant selling point. This also gives you an incentive to pursue an education in your industry, especially because green housing is a great topic to understand with emerging technologies. Seattle is a city with great respect for the environment and eco-friendly ideas. How can you incorporate this into your real estate practice? Washington State real estate continuing education helps real estate agents keep up with market changes. Courses like “Current Issues in WA Residential Real Estate” and “Green Housing Essentials” will help you stay on the ball as you continue working in real estate in the coming years. We provide a variety of courses that will help you work as a Seattle real estate agent now and in the future. You can take classes online to renew your license or to focus on improving your work in the industry. Contact us for more information about the coursework that will benefit you the most. When you think about America’s greenest cities, Portland is likely near the top of your list. The Oregon city landed ninth on the list of top 10 green cities in the country, according to Wallethub. Portland is recognized for its efforts geared toward increased sustainability. Understanding the culture of a city ties into deciding which real estate continuing ed to pursue. As you think about advancing in your career field, take some time to consider how coursework will help you buy and sell homes in Portland. One good way to focus your efforts on the future is to begin studying techniques that will allow you to learn more about sustainability and green living. Oregon real estate agents should understand Portland’s reputation as a green city. For instance, despite being a large city, Portland uses more renewable energy than the average for cities around the country. Portland was also the leader of the movement to ban plastic bags from grocery stores. Additionally, a significant proportion of Portland’s population carpools, bikes, or rides public transportation to work or school. This is not new to Portland either. Since 1971, Portland has been focusing on sustainable living on a big city-basis. Additionally, the city boasts more than 275 parks with thousands of acres of green space. 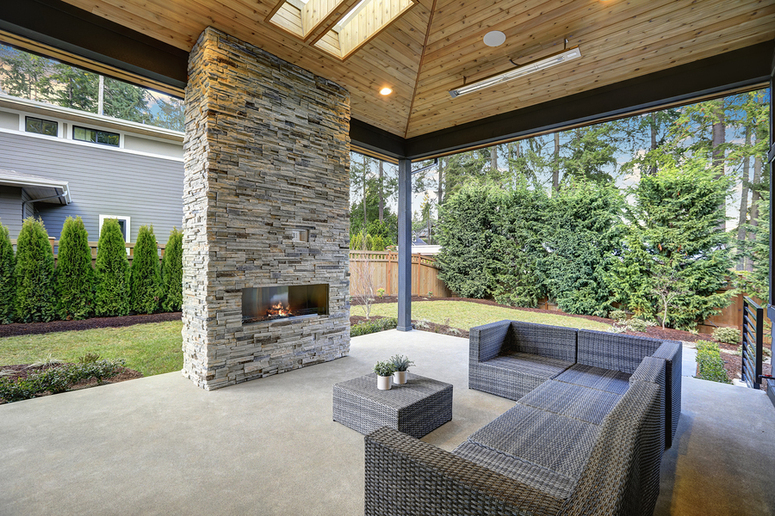 When you understand that these are values the homeowners of Portland take personally, you will be able to represent their interests in the search for a home. PDH Continuing education courses are meant to help you become successful as a real estate agent in Oregon. When you stay up-to-date with growing trends and changes in real estate law, you are eliminating many of the challenges associated with working in the industry. Green Housing Essentials is one course that Portland real estate agents, in particular, will find useful. This course will focus on issues like home inspection needs for green homes, green principles, and certifications that will help you focus on green houses. You will also learn about interior finishes and other elements involved in assisting buyers to choose homes and sellers to market their homes. 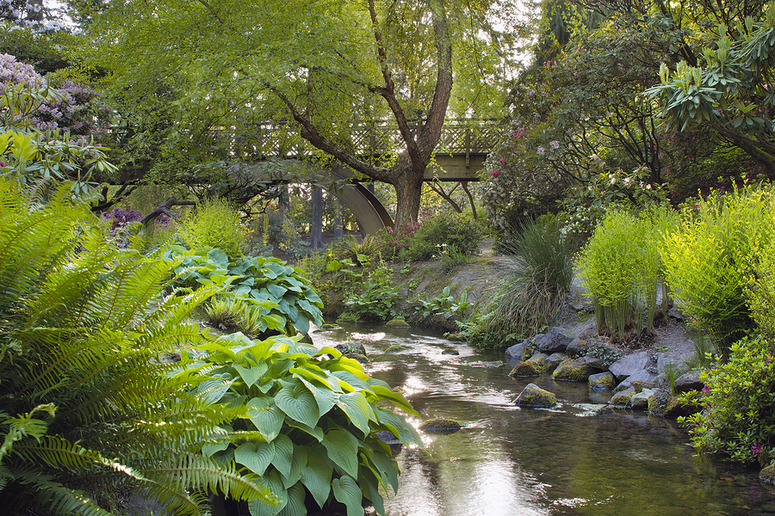 Portland is a gorgeous city, and its green features attract buyers from all over the country. Real Estate Ethics and Residential Building Red Flags are also great courses conducive to Portland buyers’ interests. These courses will help you pinpoint issues that your clients might have with certain homes early on. When you renew your real estate license, consider which real estate continuing ed courses will be most useful to you in your state. Oregon real estate agents have their own challenges and benefits, and we understand how needs differ from location to location. Oregon requires continuing education to fulfill requirements for license renewal. We offer classes catering to Portland’s green emphasis. Contact us for more information about meeting the requirements with coursework. As you begin working as a North Dakota real estate agent, you are sure to find yourself with some questions. The process of obtaining your license and even working for the first year can bring up some confusion. Fortunately, the answers are available to help guide you through the process of establishing yourself. This guide will answer some of the most common questions asked by new real estate agents. 1. How Do I Renew My Real Estate License in North Dakota? In order to renew your real estate license, you first need to complete at least nine hours of continuing education provided by an approved provider. If you are still in your first year of licensure, you must complete 15 post-licensure hours of education. These courses may be taken online or via correspondence. Extra hours you take will not carry over into the new year. You will be able to submit required materials online to renew your license. 2. Does North Dakota Have a Reciprocal Agreement with Any Other States? Yes, North Dakota has reciprocal agreements with several other states. If you already have a real estate sales license in Iowa, Georgia, or Minnesota, it is easier for you to receive a real estate sales license in North Dakota. This agreement allows you to waive a licensing examination if you already have a license. You can instead pay the salesperson and credit report fee with your license application. You must also submit your criminal history record check. 3. 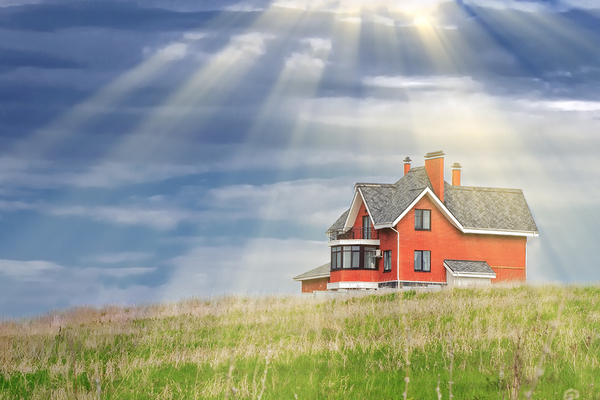 How Do I Become a North Dakota Real Estate Salesperson? 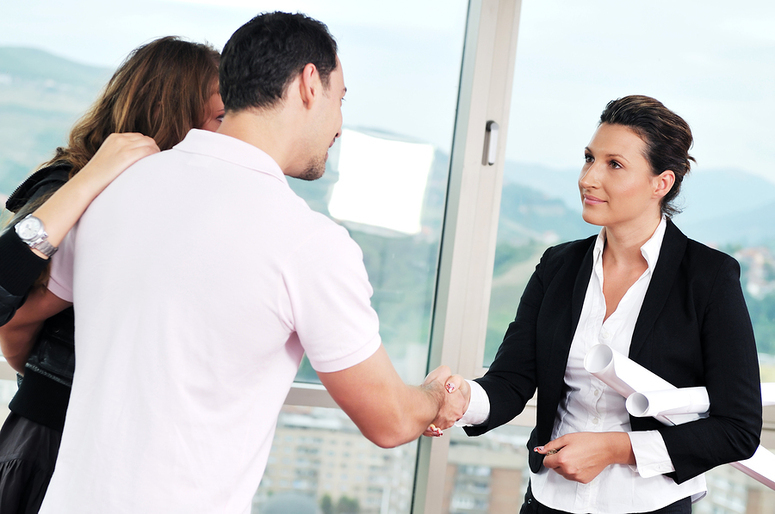 In order to become a real estate agent, you must first complete the educational requirements. You must take at least 45 hours of pre-licensing education in courses that the North Dakota Real Estate Commission has approved. You must also take a real estate exam. In North Dakota, the testing centers are in Bismarck and Fargo, but you can schedule the examination online. This examination contains a national and state portion, both of which you must pass in order to work as a real estate agent. Real estate sales professionals are required to undergo a background check while submitting a license application. You must also consent to a credit report and an application fee. Finally, you will be required to carry errors and omission insurance. The real estate commission will ask for proof of this insurance. Studying North Dakota’s real estate rules will help you better understand the industry’s needs. 4. What Topics Should I Study for North Dakota’s Real Estate Exam? Several topics are essential for real estate success. Taking the time to study for the examination is helpful, and most of the material presented as part of the exam will be presented as part of pre-licensing education. For the national portion of the exam, you should study agency relationships, contracts, finance, marketing regulations, property management, and real estate calculations. The state portion of the exam requires knowledge of state laws, the real estate commission, licensing requirements, advertising, commissions, ethics, disclosures, and other local regulations. The key to working in North Dakota as a successful real estate agent is education. Contact us for more information about staying up to date with your continuing education requirements. In order to work as a real estate agent in South Dakota, you must obtain a Broker Associate license through the South Dakota Real Estate Commission. When you obtain your real estate license, you have the ability to set your own schedule and receive compensation based on your success. There are quite a few perks to working in the real estate industry. Becoming a real estate license does not have to be difficult when you understand the steps. This guide will walk you through the process from beginning to end so that you have a comprehensive grasp of what you are doing. In order to work as a broker associate in South Dakota, you must be at least 18 years old. This education is necessary because the coursework you take will be closer to a college level. You must also be a U.S. citizen or South Dakota resident. Additionally, you must also submit to a state and federal criminal background check. You will be fingerprinted at an office as part of the process. While a criminal conviction may not necessarily prohibit you from becoming a real estate agent, it may influence the decision of the commission. Certain crimes are not acceptable according to the commission, especially those that demonstrate that you are a threat to the public. You must also demonstrate that you are financially responsible. The commission is allowed to use its own discretion in determining who may become a real estate agent. Your next step is to obtain 116 hours of pre-licensing education. Pre-licensing education is meant to prepare you to work as a real estate agent. This coursework covers the principles and practice of real estate, laying a strong foundation you can build on in the future. You have the option to take this course online. This allows you to study on your own timeline. Online classes make it easy to refer to study material and reach out when it is most convenient for you. They also allow you to take care of other commitments, including family and work. Classroom options do have some benefit for pre-licensing education though. If you value classroom engagement and being able to ask questions in real-time, brick-and-mortar classrooms might be your best bet. You can also build study teams with other future real estate agents. In order to register for the licensing exam, you must pass the course with a score of 75%. A test held at the end of the class will be the determining factor in whether you are allowed to take the test. Before you can apply for your license, you must pass the South Dakota Real Estate Exam. The exam is held in Sioux Falls and Rapid City, and you must register ahead of time to reserve your spot. You can do this online or via phone. The exam is administered via computer through Applied Measurement Professionals (AMP). You will be allowed to practice on the computer ahead of time to ensure that you are familiar with how it works. The test is also timed, so make sure that you use this time wisely. Make sure to arrive at the testing center early with two forms of identification. Both forms of ID should include your name and signature. One ID must have a photo of you. Additionally, your photo will be taken to accompany your score report. You must pass both portions of the exam: national and state. The national exam includes 100 scored questions and five unscored experimental questions. This portion of the exam is allowed up to 2.5 hours to complete. The scale is scored based on difficulty of the questions, and you must pass with at least 75. The state portion of the exam consists of 52 questions and five experimental unscored questions. For this portion, you have 1.5 hours to work. Like the national portion of the exam, the state segment is also scaled for a passing score of 75. In order for your real estate application to be approved, you must work with a broker who agrees to be responsible for you. This individual is in charge of showing you how to work as a real estate agent in South Dakota. This is where you will truly get your industry practice. Once you agree on terms with a broker, he or she must submit a signed request alongside your application. You must work with this broker as part of a long-term commitment to your career, so it is important that you make a smart choice by interviewing several candidates and selecting the best fit. Within 60 days of receiving notice that you have passed your real estate exam, you must send in your real estate license application. You must fill it out completely and honestly in order for your license to be approved by the real estate commission. Make sure that you include your application fee with the application. You must also submit your original score report from your real estate exam. You also need to submit proof that you completed your educational requirements. If your license is approved, you will receive word back within 30 days of submitting the real estate application. 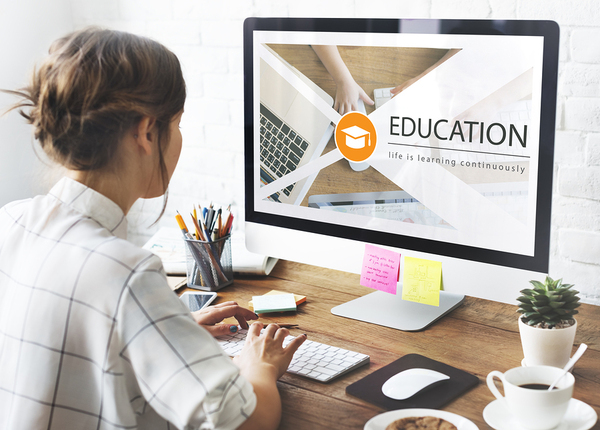 Real estate education can be completed from the comfort of your home office. Each licensing period of two years, real estate professionals in South Dakota must complete 24 hours of continuing education. Of these hours, 12 must be in required core subject areas. This education is meant to ensure that you are always up to date with new developments in your career path. Courses are available online and in-person to fulfill your obligation each renewal period. This is different in the first licensing cycle during which you have your license. You will need to complete 60 hours in this period. This post-licensing coursework ensures that you are well on your way to becoming a successful real estate agent in your first few years on the job. These courses help to build on real estate principles. We offer a variety of courses to help you stay up to date with your requirements. Contact us for more information about real estate studies.